Home » Posts Tagged "Ovarian Cysts"
The ovaries are a set of organs in the female reproductive system. They are found in the pelvis, one on each side of the uterus. The uterus is a hollow, pear-shaped organ where a baby grows. Each ovary is around the size and shape of an almond, and produce eggs and female hormones. Hormones are chemicals that control the way particular cells or organs function. During the monthly menstrual cycle, a process called ovulation takes place. Ovulation is when an egg is released from one ovary. 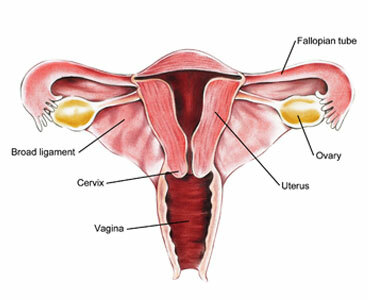 The egg moves from the ovary through the fallopian tube to the uterus. The ovaries are also the primary source of the female hormones estrogen and progesterone. These hormones control the development of a women’s breasts, body shape and body hair. They also regulate the menstrual cycle and pregnancy.